In some cases, we can install HippoTile over existing concrete. Better results have been achieved where the old flooring is removed. 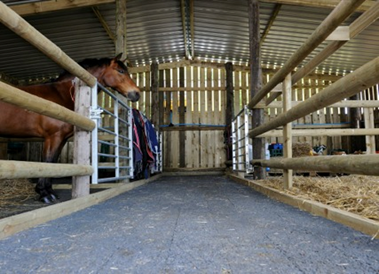 Using HippoTile in wooden stables, static or mobile, has been a very successful application. Should the stable be moved, HippoTile can go too!